ATLANTA, GA–(Marketwired – Dec 2, 2013) – 2T Water, LLC has announced their first proprietary formula 2T WATER “BIOTIN”® Hair, Skin & Nails. 2T WATER “BIOTIN”® is an extension to the company’s bottled spring water sourced from the Ouachita National Forest. The formula is the first Biotin or (B7) infused as the main functional ingredient of its kind in the water segment. 2T WATER “BIOTIN”® is aimed to introduce a premium water product that supports some of the many benefits of Biotin. Biotin or (B7) has been known to have an important role in the growth and maintenance of your hair, skin & nails. In some cases taking Biotin also helps the body metabolize proteins, fats and carbohydrates. 2T WATER “BIOTIN”® will deliver 300 mcg per 16oz bottle with 0 calories and 0 sugars; the formula is also geared to increasing consumers water intake when taking Biotin regularly. Research showed that many consumers lacked the proper water intake when taking Biotin. Initially the product will be offered in two flavors, Mango Peach and Pomegranate. 2T Water, LLC plans to offer 2T WATER “BIOTIN”® in Natural Health and Beauty stores first. The company is currently in discussions with buyers through a host of selective chains. 2T WATER “BIOTIN”® is expected to be available early 2014 in stores and on the company website. The company received great reviews on the new formula at recent sampling events in the Southeast and Midwest where there is a large growing consumer base seeking products with (B7) benefits. 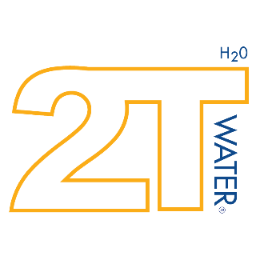 2T Water, LLC is a new age beverage company committed to introducing premium beverages that are made with the finest quality of water. It is a health conscious company that mainly focuses on health beverages. For more information, visit www.2TWater.com.